04/12/2012 – Invited to join the Honor Society Beta Gamma Sigma. 01/26/2012– Selected to speak at the 7th Bi-annual Conference on “The Economics of the Postal Sector in Digital World” in Toulouse School of Economics in March 22-23, 2012. Organized and attended by well known names in Industrial Organization (like Jean Tirole, Helmut Cremer, Regis Renault) I am looking forward to attending this conference. Take a look at the program here. 01/16/2012– Awarded the ARC – Russ Reid Research Initiative by Wharton Consumer Analytics, with co-author Murat Kurt. 11/17/2011– Invited to UPenn – Wharton Business School . 11/08/2011– Invited to speak at NYU Business School. 11/03/2011– Spoke at Columbia University Business School. 10/28/2011– Giving a talk at University of Toronto. 10/25/2011– Giving a talk at Washington University at St. Louis. 10/12/2011– Invited to become a reviewer at Journal of Media Economics. There are many media economists I admire at the editorial board of this journal, like Simon Anderson, Lapo Filistrucchi, and Lisa George. 10/06/2011– Presented “User-Generated Content in News Media” at Emory University. 10/04/2011– Presented “User-Generated Content in News Media” at Georgia State’s Robinson College of Business. 10/03/2011– Presented “User-Generated Content in News Media” at Georgia Institute of Technology. 09/16/2011– Presented “User-Generated Content in News Media” at University of Technology Sydney. 06/14/2011– “The Impact of Advertising on Media Bias,” now forthcoming at JMR. 03/4/2011 – No real updates- this week I was researching skiing in Squaw Valley and found positive results! 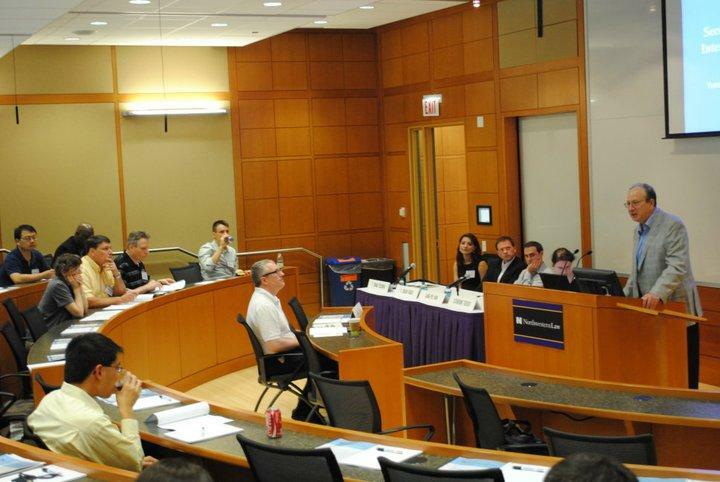 3/1/2011 – Invited by Northwestern Law School Searle Center on Law, Regulation and Economic Growth to give a talk on User-generated Content in News Media, at the Second Annual Conference on Internet Search and Innovation, June 7-8, 2011 in Chicago, IL. Several noted speakers from the conference are Google’s Chief Economist Hal Varian, Catherine Tucker from MIT, Anindya Ghose and Nicholas Economides from New York University. 2/25/ 2011 – I will be in Marketing Science Conference in June, in Houston to present the User-generated Content in News Media article. E-mail me if you are attending as well. 2/23/ 2011 – Planning to attend the Research Colloquium of Pitt, Penn State, Maryland, Carnegie Mellon in May 2011. This should be a lot of fun. E-mail me if you are attending as well. 2/9/2011 – Enjoying this year’s Katz School’s traditional Sheth Camp at Sevensprings, with guests Miguel Villas-Boas, Jim Bettman and Michael Ahearne. 10/18/2010- Meeting with AEFIS, an educational company, who is considering standardizing the Engineering Modeling Self-Efficacy instrument I developed in my dissertation. 8/24/2010- Our article, “The Impact of Advertising on Media Bias”, is now invited for presentation at the Media Economics Workshop in NYC, an exclusive event hosted by The Roosevelt House Public Policy Institute.